He Loves Me Stud Earring https://www.review-australia.com/au/he-loves-me-stud-earring-grey/RE18ACC175.REGRY041.OneSize.html Because you can never have too much sparkle?The He Loves Me Stud Earring delivers glitz and glam to any big day. 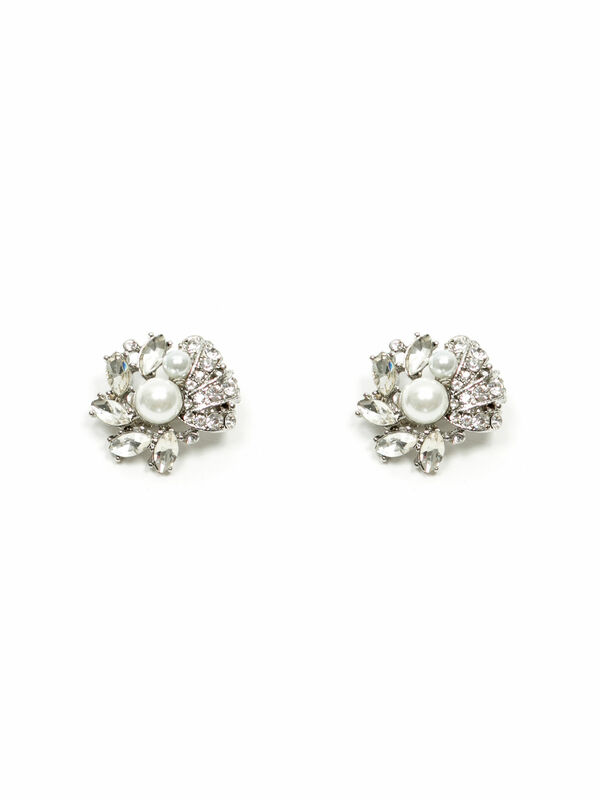 Featuring pretty cream pearls and clear jewels, these studs are a romantic finishing touch. Because you can never have too much sparkle?The He Loves Me Stud Earring delivers glitz and glam to any big day. Featuring pretty cream pearls and clear jewels, these studs are a romantic finishing touch. He Loves Me Stud Earring is rated 3.9 out of 5 by 7. Rated 4 out of 5 by Hayley from Gorgeous! Such pretty vintage inspired earrings I wear a lot! I have replaced the small earring back with a more supportive back piece which really improves how the earrings sit and feel. Just love these, they go with everything vintage! Rated 5 out of 5 by Stefka26 from Great earrings! These help to add a bit of sparkle to my day. I don't find them as heavy as some of the reviews made them sound but they are quite large and certainly not light. Great accessory to lift an outfit. Rated 2 out of 5 by Sami from Poor post placement These otherwise stunning earrings are ruined by having the post set right at the top of the earring, making them move and dangle far too much for such a heavy stud earring. Rated 3 out of 5 by Tarsh from Beautiful but heavy! I love these earrings and bought them hoping to wear them with everyday work wear but they are a bit too heavy. Will be nice to wear for formal functions though. Rated 4 out of 5 by Asha1 from Pretty! What a beauty! Elegant,classic and despite it's blingness it's actually not that bling ... Love it! Rated 5 out of 5 by MrsM.P from Perfect! A stunning accessory to complete your outfit, It will add the sparkle you were looking for.